There are thousands of online searches every day by people looking for solutions to their manufacturing and engineering issues. So how can you turn these people into customers? 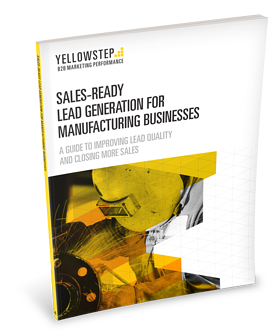 In this free ebook, you will learn about inbound marketing tactics that manufacturing businesses can use to produce sales-ready leads and grow their business. Download the ebook and enhance your marketing and sales strategy today.